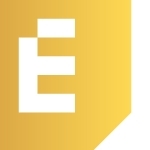 SAN FRANCISCO–(BUSINESS WIRE)–TechCrunch, a leading technology media property dedicated to obsessively profiling startups, today announced a new paid subscription offering, Extra Crunch. The new destination and exclusive membership experience provides all of the tools and information readers need, from deep dives into unicorn companies to expert advice for founders solving the day-to-day challenges of getting their startup off the ground. TechCrunch is a leading technology media property, dedicated to obsessively profiling startups, reviewing new Internet products, and breaking tech news. Founded in June 2005, TechCrunch and its network of websites now reach over 15 million unique visitors globally and, on average, draws more than 27 million views per month. CrunchBase, TechCrunch’s open database about start-up companies, people and investors, has become the leading statistical resource for technology companies and transactions. The company hosts major conferences and events, including the Disrupt series and various meet-ups worldwide serving as community platforms for industry conversation and collaboration. Follow TechCrunch on Twitter @TechCrunch.